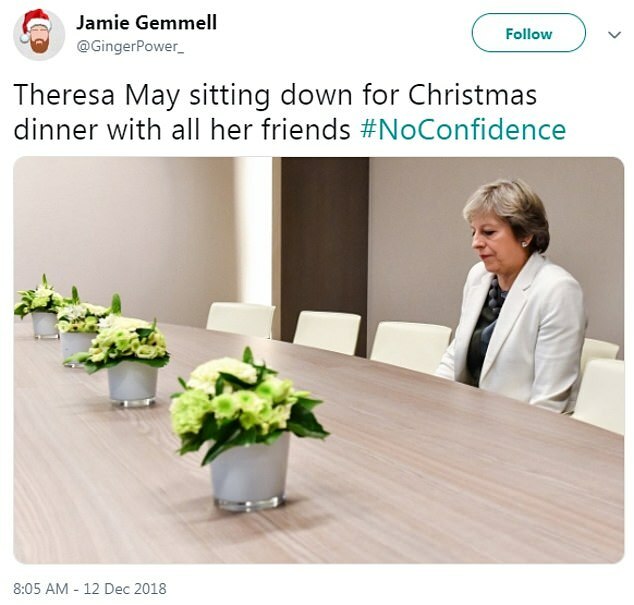 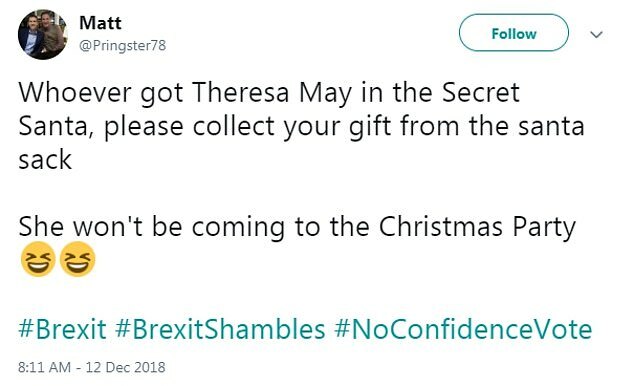 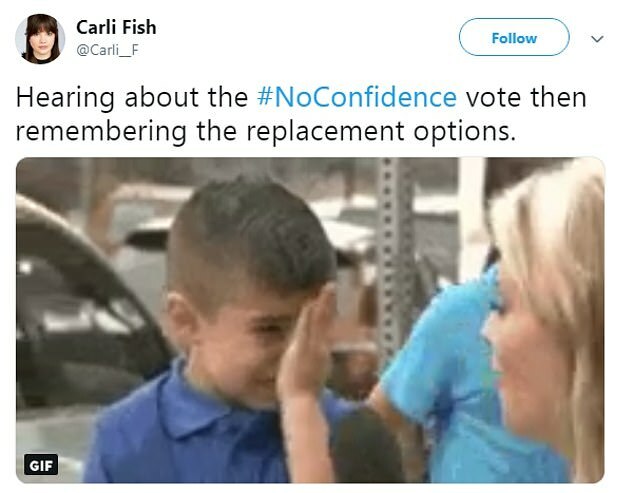 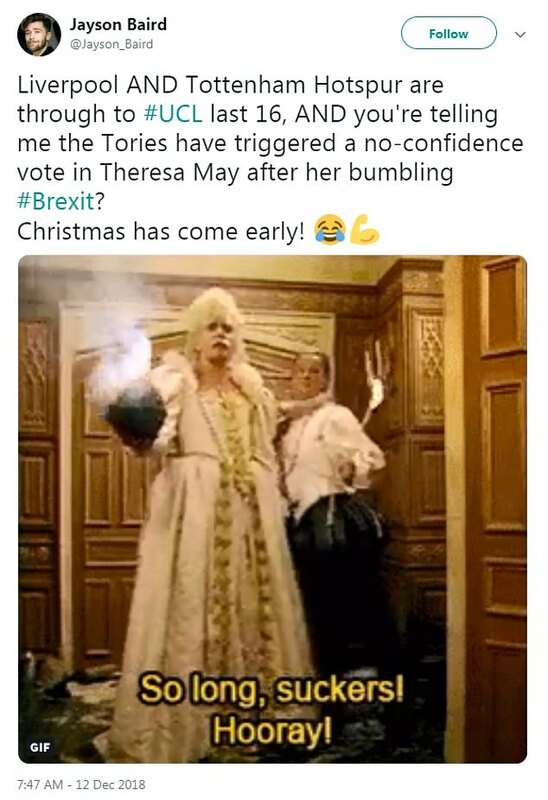 With less than two weeks to go until Christmas, enough Tory MPs have requested a vote of no confidence in Theresa May to trigger a contest. 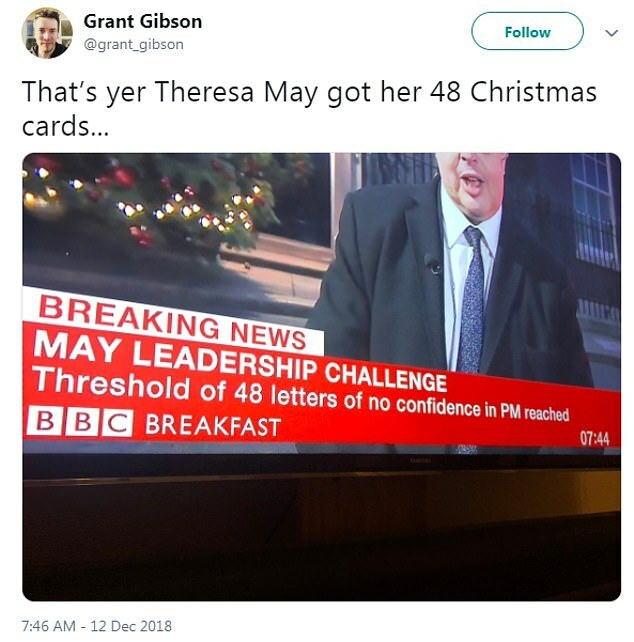 And Twitter users today jokingly told of their fear that a leadership challenge could ruin the festive season as they shared memes about the political situation. 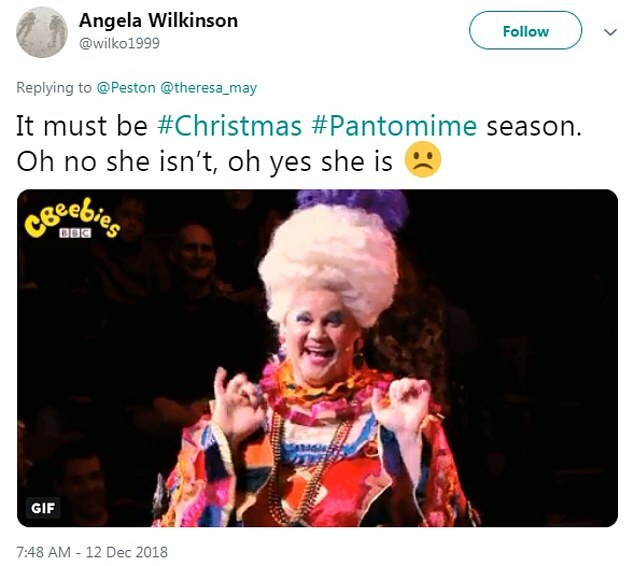 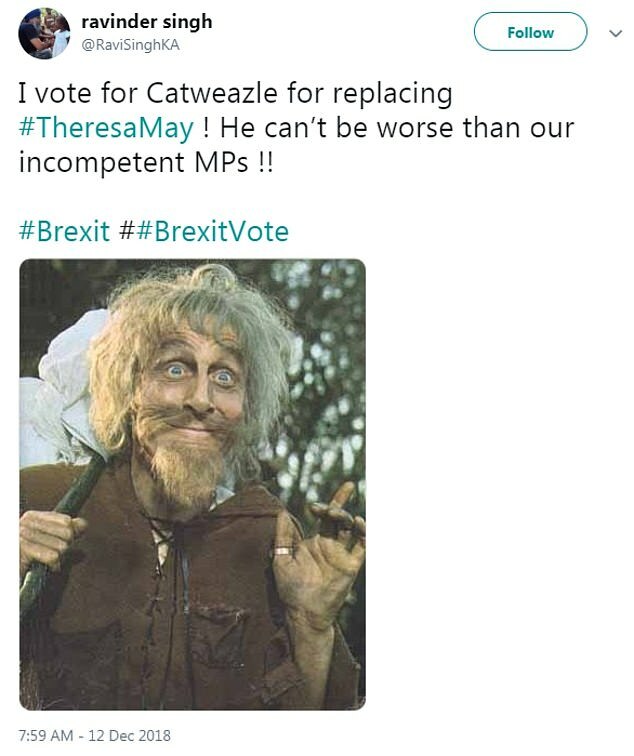 The series of tongue-in-cheek posts included references to EastEnders, The Jungle Book, Postman Pat, The Big Bang Theory and even Catweazle. 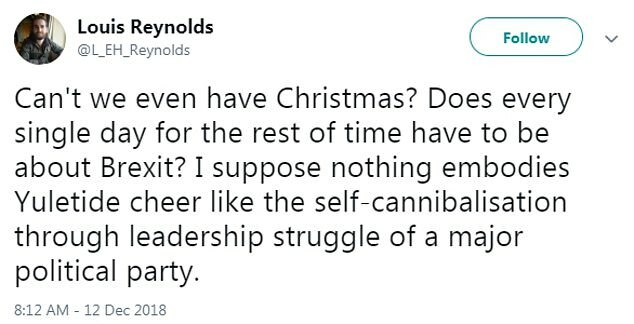 And another, Louis Reynolds from Dublin, said: 'Can't we even have Christmas? 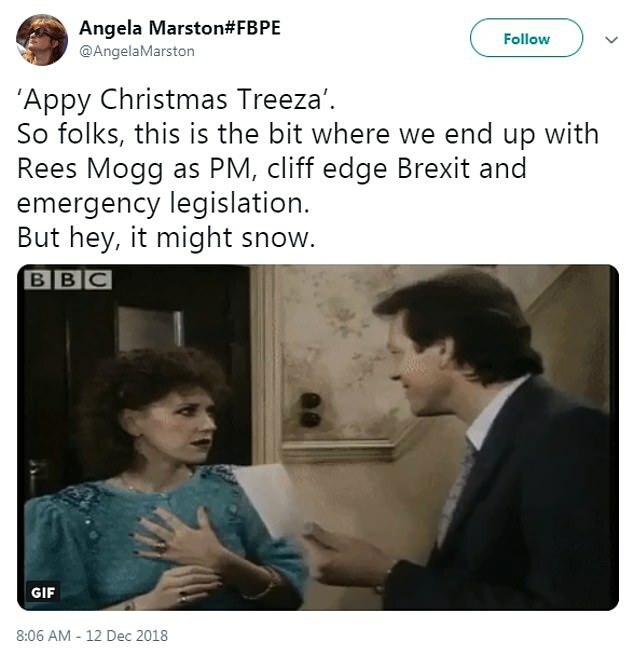 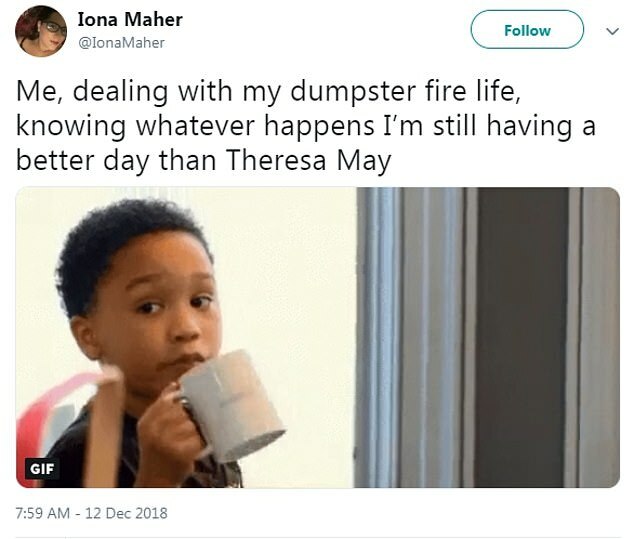 Does every single day for the rest of time have to be about Brexit? 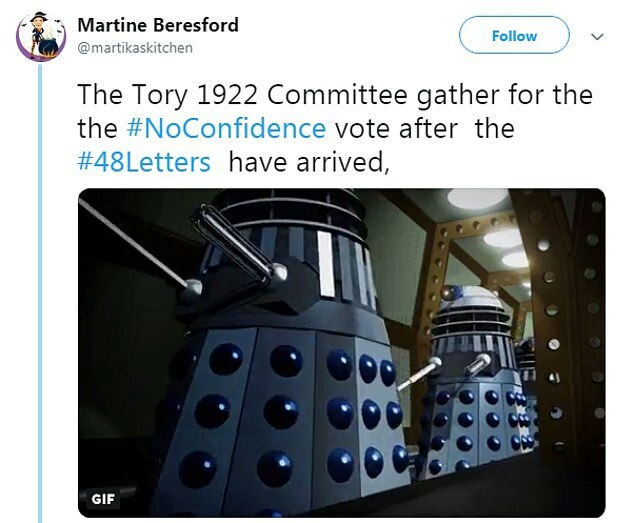 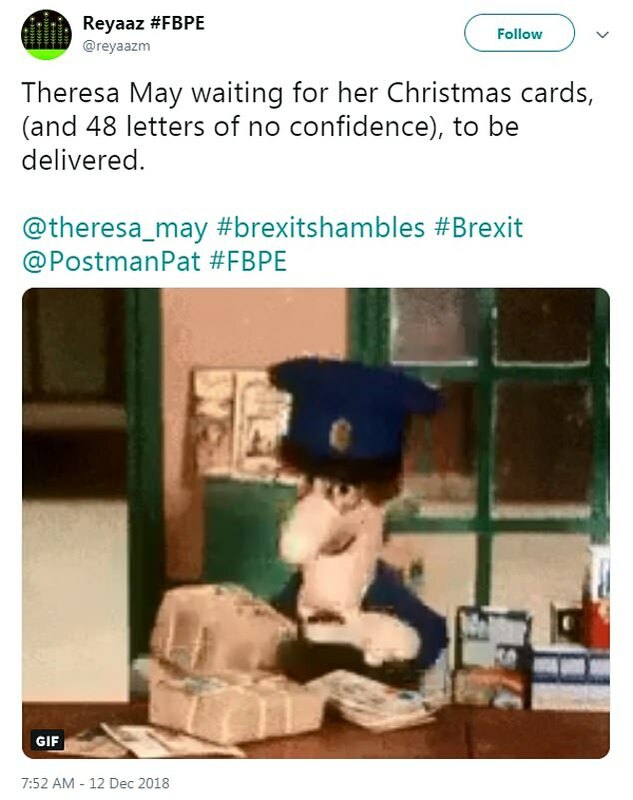 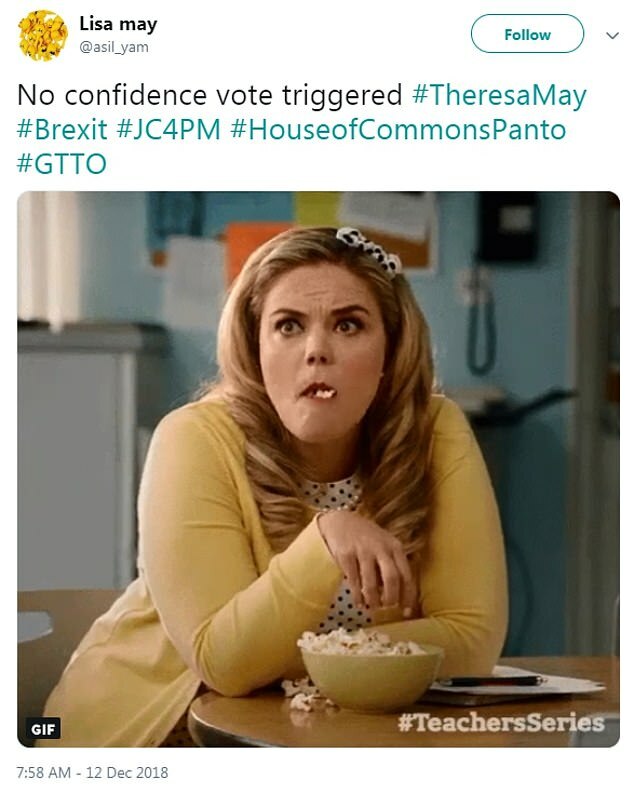 Sir Graham Brady, the chairman of the backbench 1922 Committee said today that the threshold of 48 letters needed to trigger a vote had been reached. 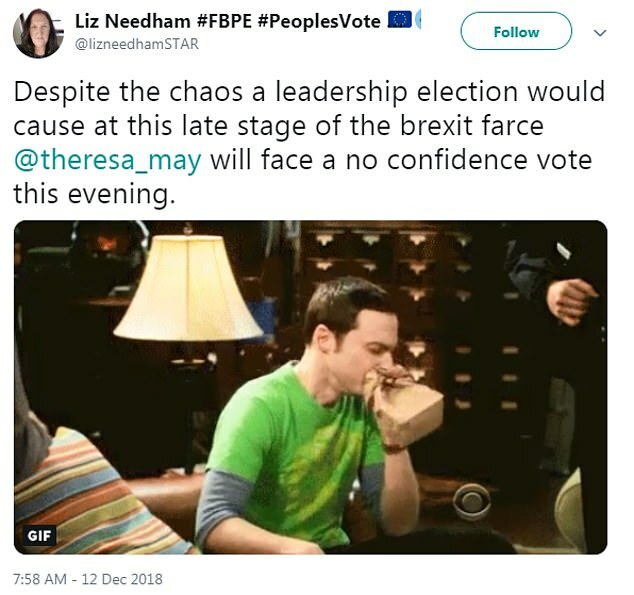 A ballot will be held between 6pm and 8pm tonight in the House of Commons. 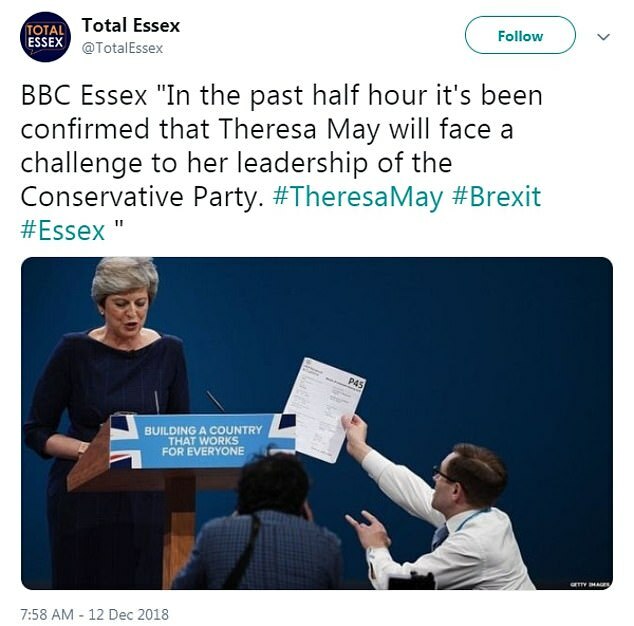 Mrs May made a statement responding to the development, saying she would fight on. 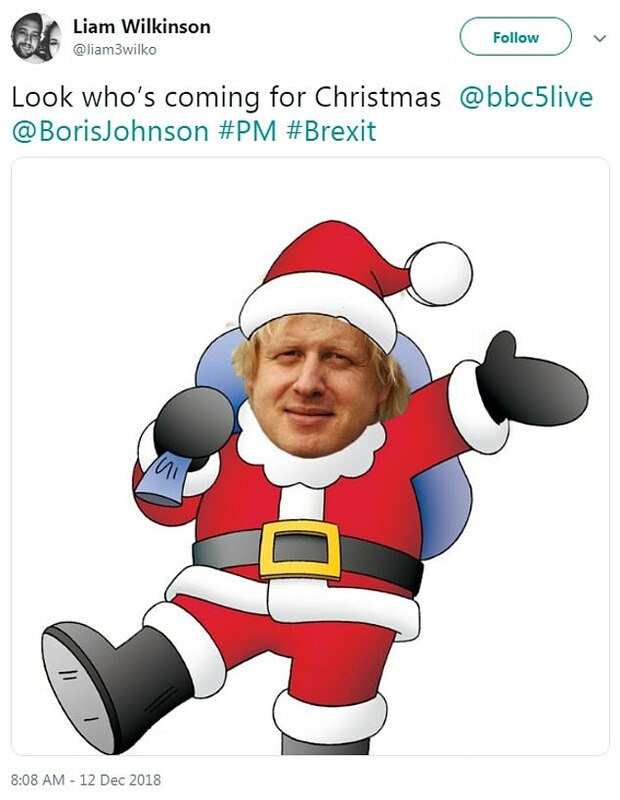 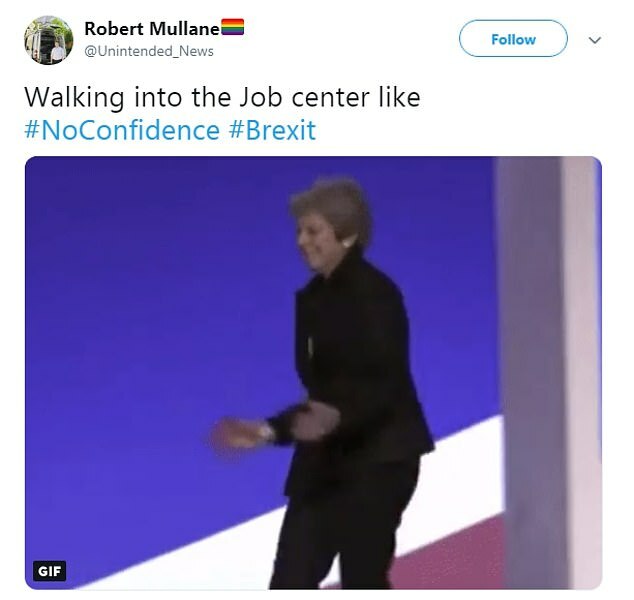 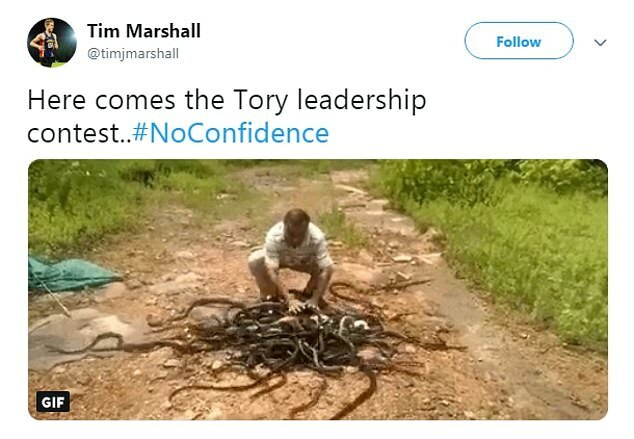 He's something of a forgotten man, 30 months after he stepped down as prime minister and Conservative leader following the EU referendum result. 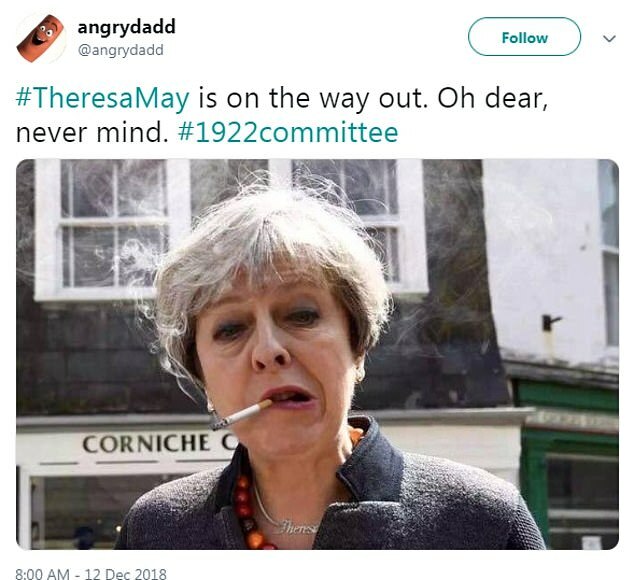 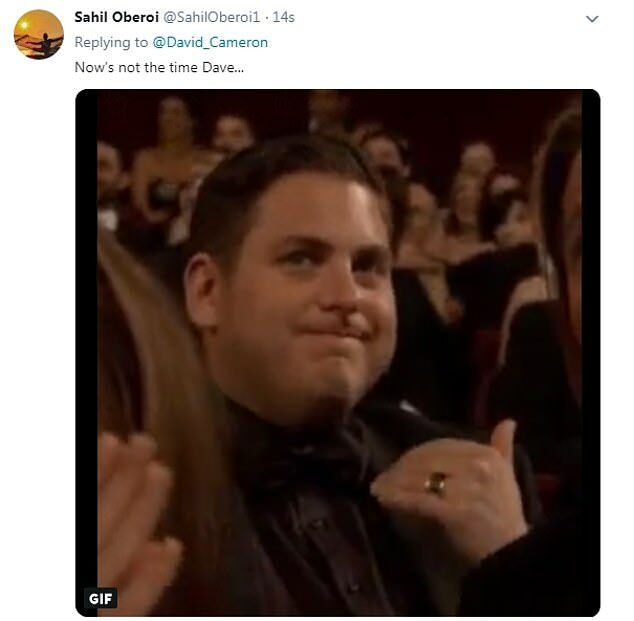 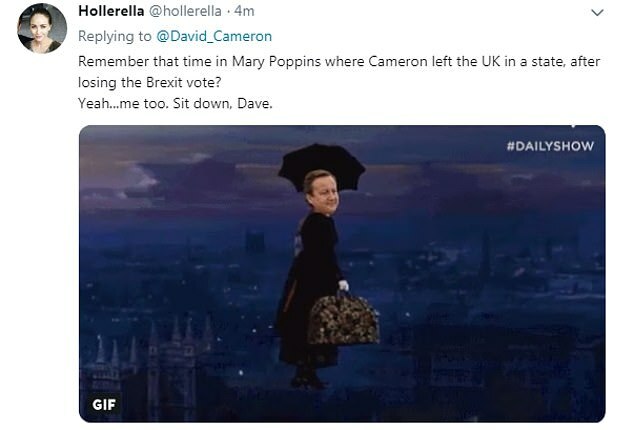 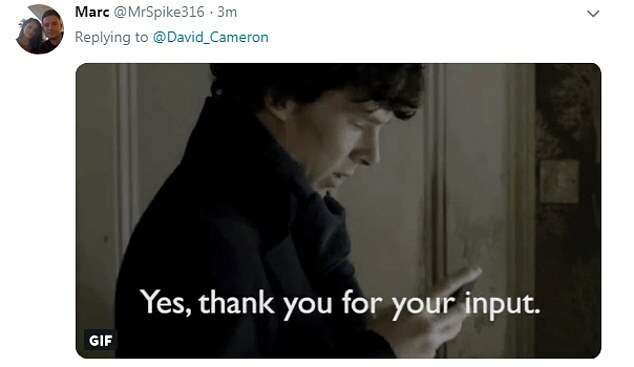 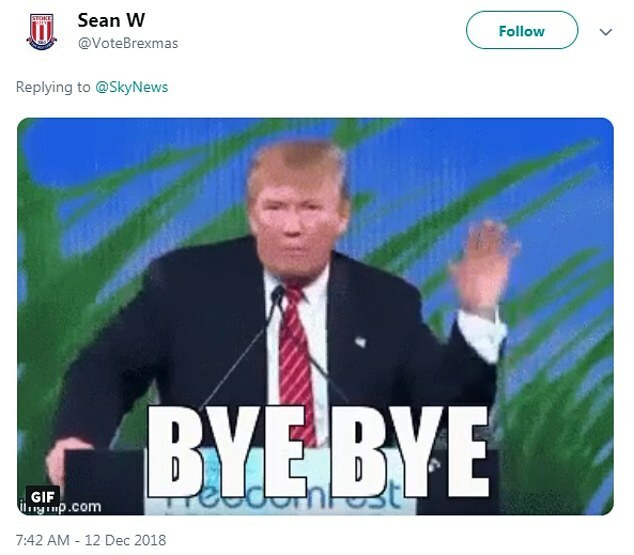 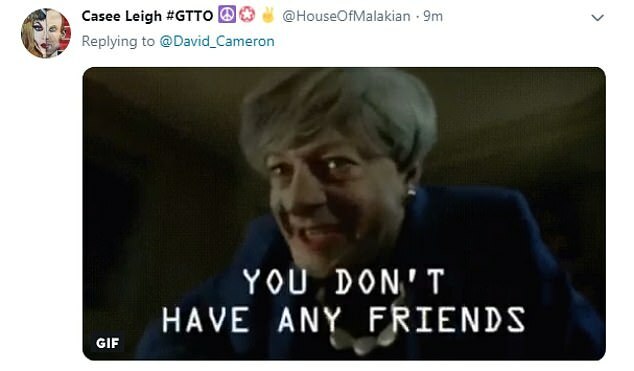 So when David Cameron waded into today's debate over whether Theresa May should remain as Prime Minister, many Twitter users were unimpressed. 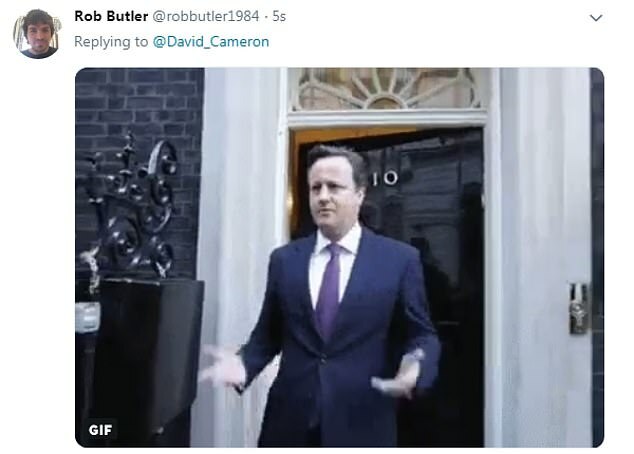 Mr Cameron tweeted to his 1.9million followers shortly after 10am today: 'I hope Conservative MPs will back the PM in the vote today. 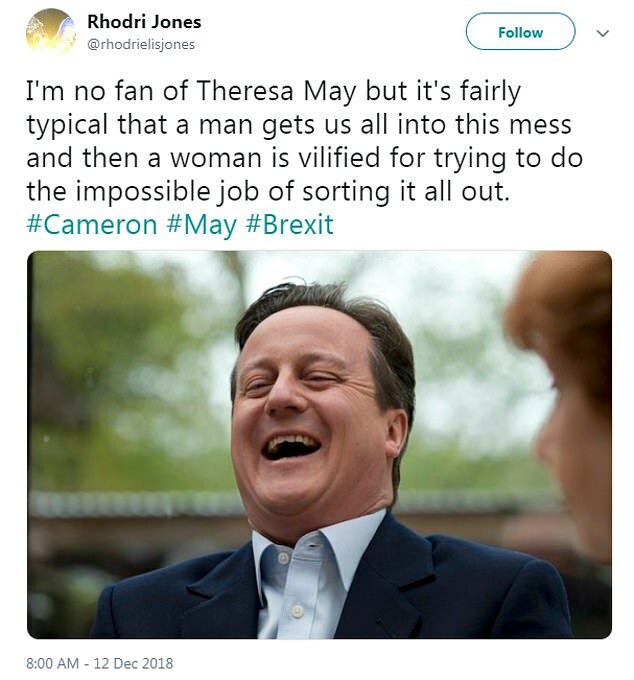 When Mr Cameron decided to step down in June 2016 following the UK electorate's decision to leave the EU, five candidates came forward. 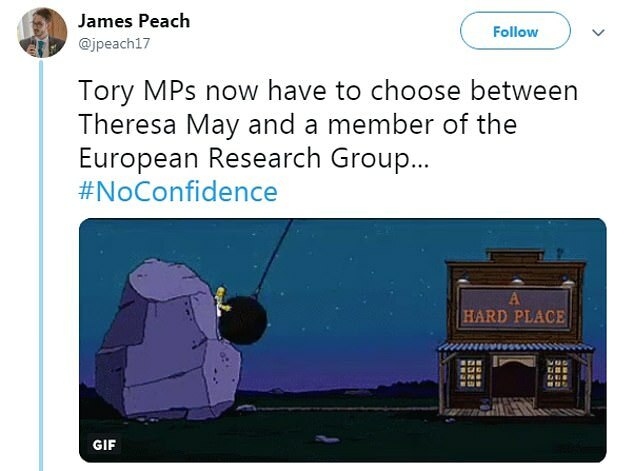 The field was narrowed to Theresa May and Andrea Leadsom, but she pulled out before members voted, leaving Mrs May to become leader unopposed.